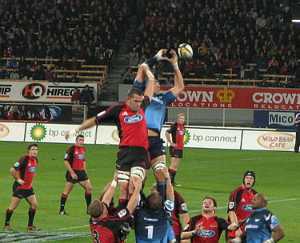 The opening round of Super Rugby this last week end was a classic example of how business intelligence fails. Predicting the first round of any sporting event is always a bit of a gamble – largely because one is looking at historical data. In many cases this can be a sound strategy. In the absence of form, which cannot be demonstrated until the players are on the field, I made my predictions based on the two two principle factors — the hypothetical strength of the respective teams on paper, and, where this was inconclusive, on which team had home ground advantage. Historical form had no role to play in the weekends results. Game one: The seven times champion Crusaders with multiple All Blacks were whipped at home by perennial wooden spoonists, the Rebels.Only 2% of punters on Superbru predicted this result. This set the tone for the weekend.. The Lions conspired to loose at home to the Hurricanes – predicted by only 35% of punters. The highly fancied Sharks lost at home to a (on paper) much weaker Cheetahs team in a result predicted by only 6% of punters, while the Bulls were outplayed at home by the Stormers in another upset (31% predicted this). Two games out of the seven played ran to form – with the classy Brumbies and Chiefs winning their matches against the reds and the Blues – the only two games that I predicted correctly. The final game of the weekend saw last years champions, the Waratahs, humbled at home by a ragtag Force team in a result predicted by only 6% of punters. Is the data you use for business decision making current, complete and accurate?